Google is adding a small but useful feature to Google Calendar. Starting today, when you change or delete an event, a dialog box now pops up that allows you to attach a short message to the event to explain why you are making the change and what’s changing. Here is how this new feature will work: When you make a change, a dialog box will pop up and allow you to enter a message for your guests. 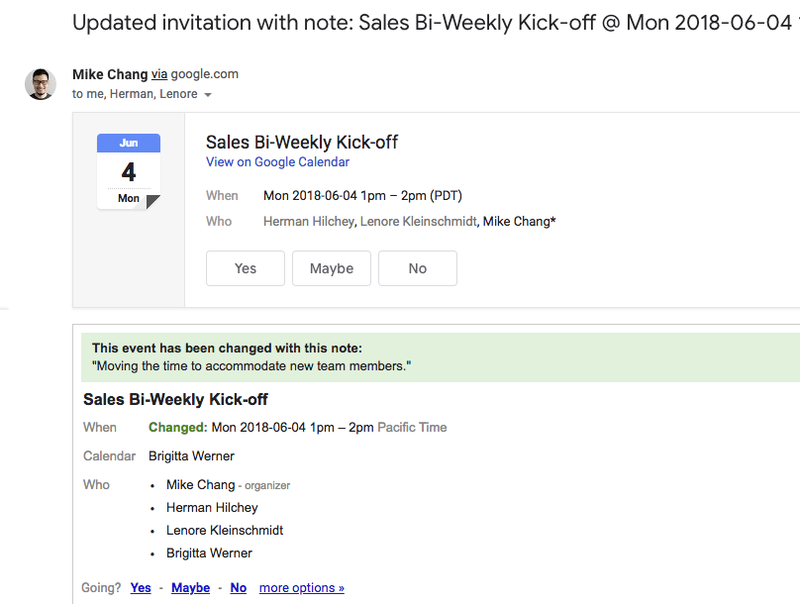 On the event page in Google Calendar itself — and in the email that alerts your guests of the change — that message will then appear at the top of the event details section. I’m guessing that at least half of the calendar invites I get change a few times before I actually get on the call. It’s generally unclear what has changed, though. The new dialog box appears automatically, so far more people will now explain their changes than before. It’s nothing fancy and it’s actually a surprise that Google hasn’t done this before, but chances are that people will be using it all day long. 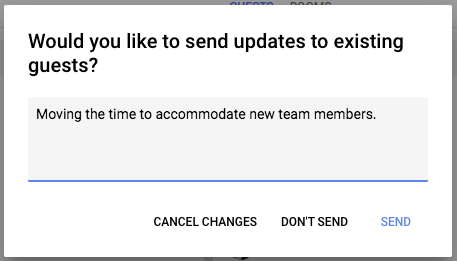 This new feature is now rolling out to all G Suite users and should be available to everybody (no matter whether their admins have them on the rapid release or schedule release schedule) within the next three days.